It was a proud moment for Manav Rachna International School, Noida to be the recipient of ‘The Award of Excellence in International Presence’. The school received this prestigious award on January 23, 2019 in New Delhi. 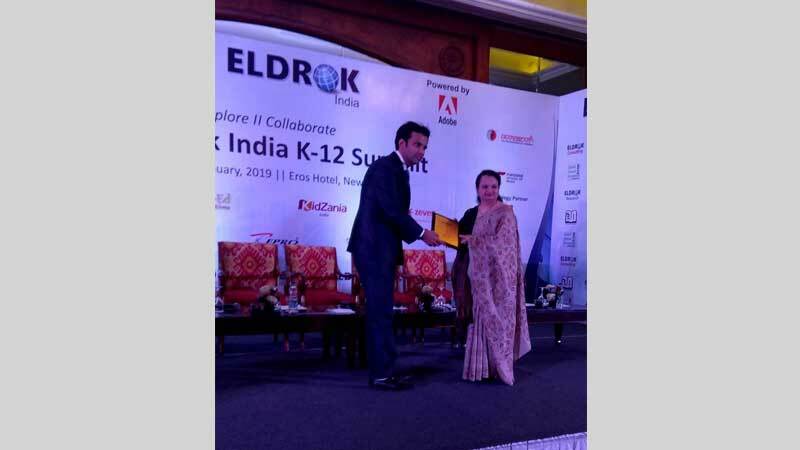 The award was conferred by ELDROK INDIA K-12 Summit. Students bagged Gold medals in the Indo-UAE Kabaddi Tournament, U-17 category held at UAE. At Folklore, Manav Rachna students performed Gondhal dance, which is a Maharashtrian dance form portraying Goddess Durga as Shakti. Student dancers from countries like Mexico, Pennsylvania, and Portugal and from other states of India had also participated.